The entire transcription can be found at the bottom of this page. In photographs, overseas service chevrons will appear on a soldier’s lower right sleeve, with each chevron indicating one years service overseas. By counting the number of overseas service chevrons (you may need that magnifying glass!) you will be able to estimate how long a soldier served overseas. They are also useful for dating photographs as the chevrons weren’t authorised until December 1917 and were discontinued in 1922. 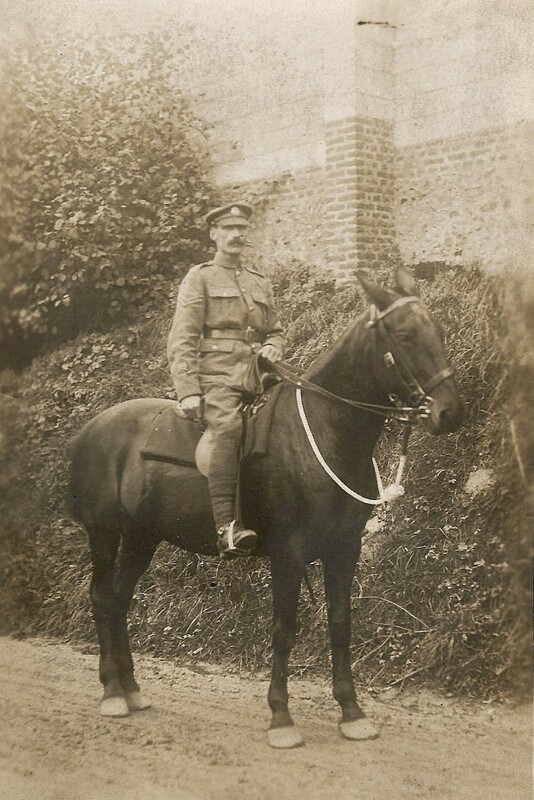 A photograph of Frank Pearce, my uncle’s great uncle who died of disease on 2 February 1919. Two of his brothers also died, both from disease. On his right arm are four overseas service chevrons. Army Orders – January, 1918. Published on the 20th December, 1917. IV- Chevrons for Service Overseas. 1. His Majesty the King has been graciously pleased to approves of the award of chevrons to denote service overseas undertaken since 4th August, 1914. Officers and soldiers of the Regular Army, Special Reserve and Territorial Force, and officers, Naval ratings and Royal Marines of the Royal Naval Division. Officers, soldiers and followers of the Indian Army and Indian Army Reserve. Officers and soldiers of Oversea Forces. Native troops in East and West Africa. Members of Queen Alexandra’s Imperial Military Nursing Service, retired members of the Army Nursing Service, members of Queen Alexandra’s Military Nursing Service for India, the Territorial Force Nursing Service, and Oversea Nursing Services. * *The amendment promulgated by Army Order 20 of 1918 has been embodied. Members of the Women’s Army Auxiliary Corps. Civilians attached to British Forces in an official capacity. Members of officially recognized Voluntary Aid Detachments. 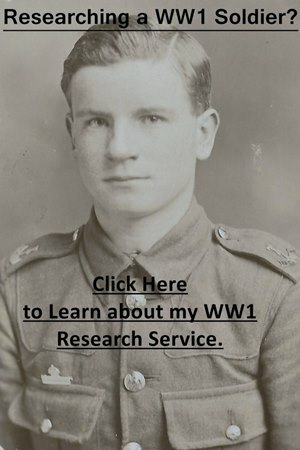 Personnel working under the Joint War Committee of the British Red Cross Society and the Order of St. John of Jerusalem, and under the St. Andrew’s Ambulance Association, if under the direct authority and supervision of the War Office. Personnel of the Women’s Legion employed under War Office authority. 3. The date for the award of the first chevron will be the date the individual left the United Kingdom in the case of those who proceeded from home; and the 5th August, 1914, in the case of those serving abroad on that date. In the case of Oversea troops the date of leaving their own country, or where employed in local operations, the date of crossing the frontier or that on which they commenced to take part in active operations. Additional chevrons will be awarded for each successive aggregate period of 12 months’ service outside the United Kingdom; in the case of Oversea troops, away from their own country or within a sphere of active operations. 4. The qualifying service for additional chevrons need not be continuous. It will include periods of leave up to 1 month where the individual returns overseas at the conclusion of such leave. Periods of absence without leave, in prison or detention, in hospital from sickness due to avoidable causes, or in captivity as a prisoner of war, will be excluded when calculating the 12 months required to qualify for an additional chevron. 5. Draft conducting officers and officers and others sent overseas on duty of a temporary nature but who are not appointed for duty on the establishment of a unit serving overseas and who return to this country on completion of the temporary duty, are not eligible for the award of chevrons by virtue of their temporary service outside the United Kingdom. 6. Chevrons of two colours – red and blue – have been approved. The first chevron, if earned on or before 31st December, 1914, will be red; if earned on or before 1st January, 1915, it will be blue; and all additional chevrons after the first will be blue. 7. The chevrons will be of worsted embroidery, 1/4 inch in width, the arms 1 1/4 inch long. They will be worn inverted on the right forearm; in the case of officers, the apex of the lowest chevron will be 1 inch above the upper point of the flap on the cuff; with Highland jackets, the point of the lowest chevron will be midway between the seams of the sleeves and 2 inches above the upper rows of lace; and with jackets with plan cuffs, immediately above the point of the cuff. In the case of warrant officers, non-commissioned officers and men, the apex of lowest chevron will be midway between the seams and 4 inches above the bottom edge of the sleeve. The red chevron will be worn below the blue one. They will not be worn on greatcoats. 8. Chevrons will be supplied to units by the Army Ordnance Department on indents from commanding officers. 9. Commanding officers will be responsible for the issue of chevrons to individuals. In units serving in the field rolls of officers, warrant officers, non-commissioned officers and men, showing the number and description of chevrons claimed by each, will be prepared and submitted to Base Record Offices for verification, reference being made to Record Offices at home if necessary. At home and at stations abroad similar rolls will be prepared and forwarded to Record Offices for scrutiny. After check, the rolls will be returned to units for retention and an entry made in each man’s A.B. 64, showing the chevrons to which he is entitled at the date the entry is made. Further entries will be made as the man becomes entitles to additional chevrons. 10. To prevent delay, consequent on the checking of the rolls, chevrons will be issued from unit stored to squadrons and companies on the certificate of the squadron or company commander to the effect that to the best of his belief the men are entitled to the chevrons shown on the company indent. In preparing this indent, squadron and company commanders will obtain the required information, as far as possible, from A.B. 64, which shows whether the man was paid at home or overseas. On receipt of the checked rolls referred to in paragraph 9, any erroneous issue or irregular wearing of chevrons will be rectified. It should be noted that the wilful irregular wearing of chevrons is an offence punishable by Court-Martial. 11. The responsibility for the correctness of the award in the case of individuals who, under paragraph 2 of this Order, are eligible for chevrons, but who are not directly in military employ or paid from Army funds, will rest with the head of the department or organization to the effect that the bearer, stating name and employment, is entitled to the chevrons, should always be in possession of the wearer. 12. The chevrons may be worn in plain clothes by retired officers, ex-officers, pensioners, ex-soldiers and others who would, had they remained in the Service or continued in any of the employments detailed in paragraph 2, have been entitled to wear them on uniform clothing, should they wish to do so, but no issue will be made from Government stores. It is an offence under the Defence of the Realm Regulations for any unauthorized person to wear a chevron or chevrons, and it should be noted that under Regulation 41, sub-paragraph (c), it is an offence for anyone to supply, without lawful authority or excuse, one of these chevrons to an unauthorized person. 13. The chevrons are a distinction to be worn on uniform to denote service overseas since the declaration of war, and are not to be regarded as being in the nature of a reward. There will be no posthumous award to deceased officers or soldiers. 14. Applications and correspondence from serving officers and soldiers in regard to chevrons are not to be addressed direct to the War Office. All applications will in the first instance be dealt with by commanding officers. 15 Indents for chevrons may be submitted, and supply will be made when stocks are available. Chevrons for Service Overseas. – The following addition will be made after “India” in line 19 of paragraph 2 of Army Order IV. of 20th December, 1917: – “the Territorial Force Nursing Service,”.